Tonight on Crossfire: New Jersey Lt. Gov. Kim Guadagno on Monday called allegations that she issued an ultimatum to Hoboken's mayor to support a redevelopment plan backed by Gov. Chris Christie or lose Superstorm Sandy recovery aid "false" and "illogical." Read the full story. At 6:30pm ET. Democratic strategist Hilary Rosen and Conservative editor for the Weekly Standard Bill Kristol, debate the "she said-she said" developments in the New Jersey scandals with S.E. Cupp and Van Jones. 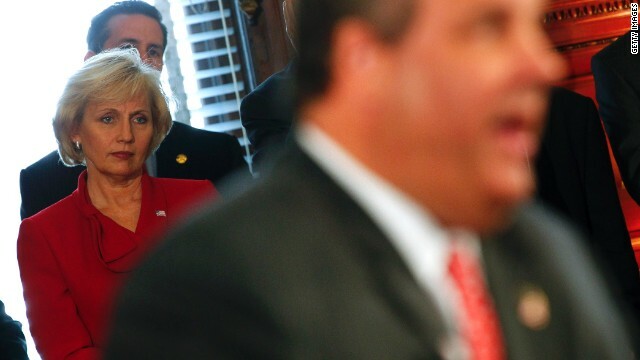 We want you to weigh in: Do you think Chris Christie should step down as Chairman of the RGA? No, he should not step down. His deplorable conduct, lack of ethics, and abuse of his office clearly qualifies him to be leader of the RGA. He has already been endorsed by several of his colleagues. After he is impeached, removed from office, tried, convicted and sent to prison they can place a bronze bust of him in the lobby with a photograph in the Hall of Shame. The Republican party has become a Ship of Fools! Even members of the Flat Earth Society know, if you sail too far out the sea monsters will get you or you may go over the edge. Democrats literally have no limits as to how far they'll go. Look at all the BS they've done since Obama took office 5 years ago. Yes, if he had knowledge of the bridge scandal he should step down.